Description: Morphology Meniran: Trunk: Circular trunked wet with a height of less than 50 cm. Leaves: petiole has a finned even each consisting of compound leaves that have small size and oval shaped. Flowers: There on the leaf facing down the armpit. 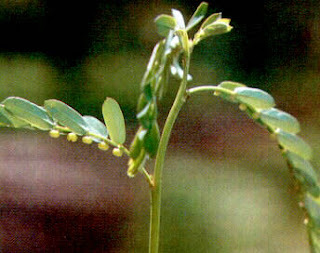 Growing Conditions: Meniran derived from tropical plant that grows wild in the woods, fields, gardens and page home page, are generally not maintained, because the grass plant is considered normal.medical plant Meniran place that thrives in moist lowland until height of 1000 meters above sea level.